The most popular and largest Canadian St Mark James training provider in Grande Prairie is Grande Prairie First Aid. 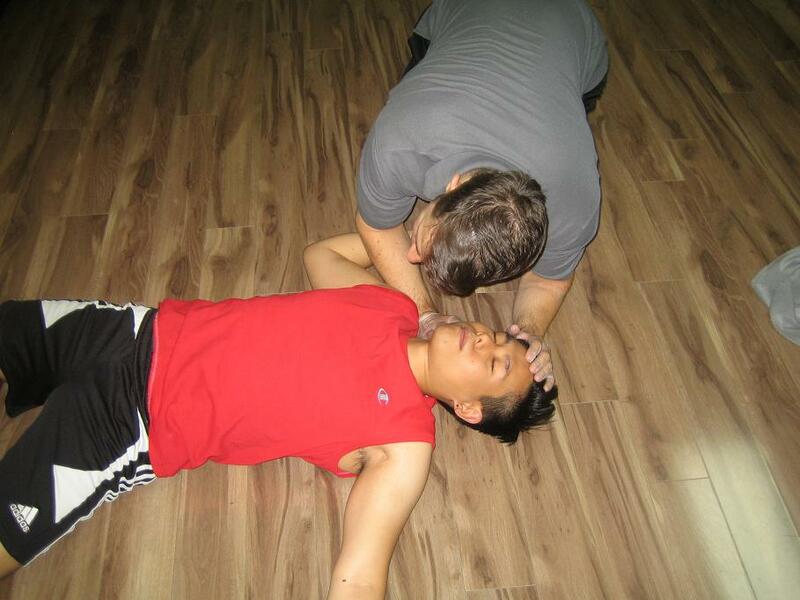 This provider offers a variety of courses including one-day and two day combined first aid/ CPR programs. St Mark James Canadian CPR courses in Grande Prairie include level’s “A”, “HCP” and “C”. All of these level’s can be partnered with first aid and include automate external defibrillator (AED) training. Rates are very affordable without compromising the quality of the classes. All trainers are certified by St Mark James as well, so you’re sure you are being trained by the best. Full courses, stand-alone classes, private classes, and recertification programs are available throughout the week at very flexible schedules. Choose a course and enrol today! To register for a Canadian CPR course in Grande Prairie scroll to the bottom of the page and complete the on-line enrolment form or use the details / links on this page. Enrolment is quite easy and hassle-free. Just choose a course or class from the list at the Grande Prairie First Aid website and give a call or send an e-mail to sign up. An on-line registration form is also available on the Grande Prairie First Aid website. Customer service representatives will respond to your request for individual training or private courses within 1 business hour. Course rates at Grande Prairie First Aid are the most affordable in the area. Rates are paid only during enrolment and include taxes, certification fees, and St Mark James training manuals. Trainees don’t have to worry about additional expenses. Students who drop out are entitled to full refunds provided a 72-hour notice was done. CPR and AED training at Grande Prairie First Aid covers rescuer skills needed to deal with emergencies such as cardiac arrest and other injuries. CPR classes have three levels (A, C, and HCP), each level corresponding to a particular victim age group and target audience. Each level lasts four, five, and six hours long respectively. These CPR programs can be partnered with courses such as emergency, childcare and standard first aid. Childcare first aid must be partnered with CPR level “B”, however, emergency or standard first aid can be partnered with either level “A”, “C” or “HCP”. To complete the training program, the student must have complete attendance, at least 75 percent on the written exam, and adequate skill return demonstration for CPR and AED. Once the class is passed, the student receives a certificate card valid for three years. A wall-mount sized certificate can also be requested. Recertification programs for levels C and HCP are also offered by Grande Prairie First aid. These classes are four to eight hours long (depending on the level of training) and are held approximately twice a week. 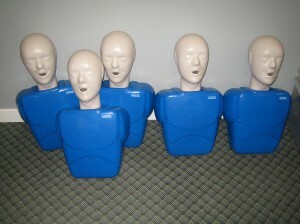 Stand-alone classes for CPR/AED are also available. If you want to train at home or want to book a private instructor for an event, all trainers at Grande Prairie First Aid are certified by St Mark James and have hourly rates. Just send an e-mail or give a call to inquire about booking them. Nosebleeds are usually harmless, with bleeding stopping in a few minutes with first aid and some ice. However, recurrent nosebleed episodes may be a sign of a bigger problem or illness, or simple weak vessels in the nasal cavity. Management usually involves pinching the nostrils, leaning forward, and applying ice. One of the management techniques suggested by doctors is cauterization. Vessels in the nose are sealed up to prevent repeated nosebleeds. Using an electric current or laser, a part of the vessel is burned to seal it.